In early March, a total of 16 foreign trainees completed their training course under the Capacity Building Program at OISCA Nishi Nippon Training Center in Fukuoka. The trainees are from 11 countries and area (Cambodia, Fiji, Indonesia, Malaysia, Mexico, Mongolia, Myanmar, Papua New Guinea, Sri Lanka, Vietnam and Tibet). Out of the 16 trainees, 10 underwent 11-month training course in organic agriculture, 4 took up agriculture in general while one participant pursued a special course as an international volunteer and another one studied home economics management. The organic farming training course has been sponsored by Mitsubishi UFJ Financial Group (MUFG) since 2008. 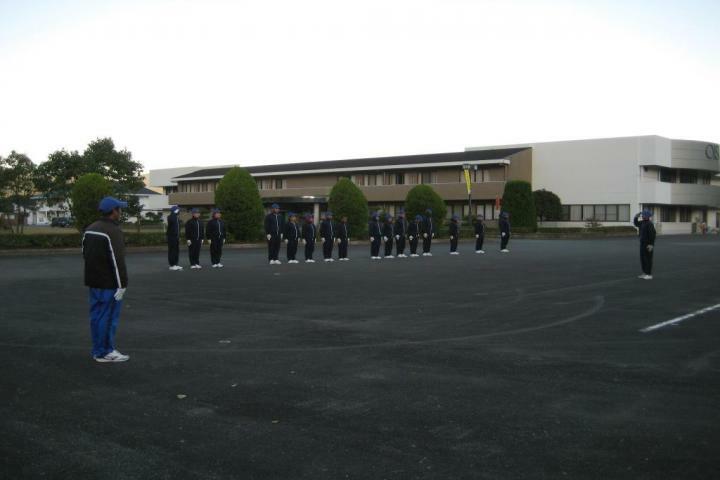 At the initial period of the training, the trainees studied the basic Japanese language and social custom and manners in order to be able to carry out effective communication with the Japanese people. They attended class room lectures and experienced extensive practical work on the farm of the Training Center. They also went on several field trips in Fukuoka Prefecture and other parts of Japan. At the end of the training course, all the trainees were asked to prepare and report an action plan to be carried out after going back to their respective countries. 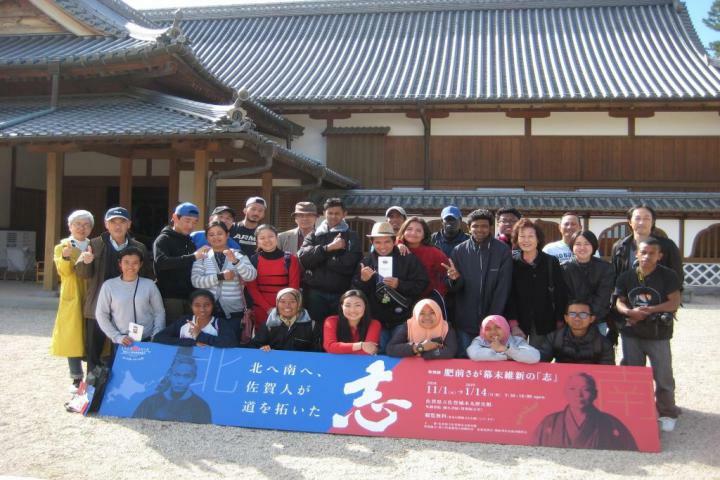 On March 6, presentation session of action plans by the trainees was held at the Eifukuchou-Izumi Community Center located near the OISCA Headquarters in Suginami-Ku, Tokyo. OISCA staff at the Headquarters and Nishi Nippon Training Center and also members of the OISCA Metropolitan Branch attended the session. 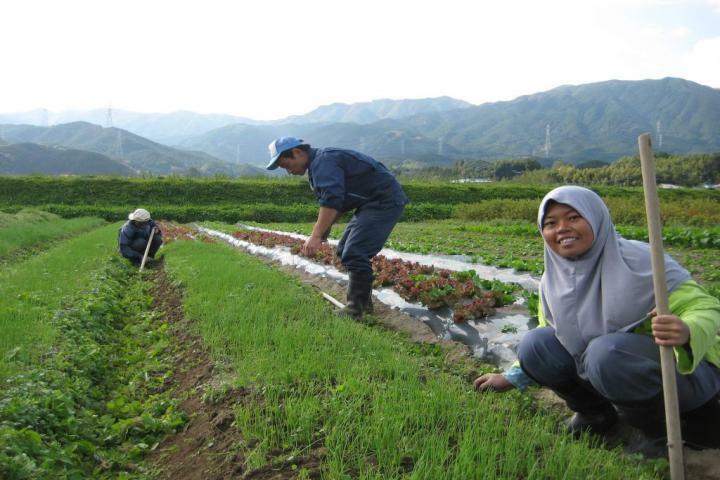 Mr. Musleh Musah from Sabah, Malaysia, said in his action plan that after going home, he would first teach organic farming learnt in Fukuoka at the KPD-OISCA Training Center in Sabah and then engage in cultivation of vegetables at his home farm. 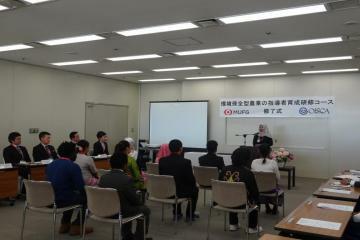 Ms. Intan Nurlaeli, an Indonesian trainee who underwent home economics management introduced her ambitious plan. Back home, she would intend to open a bakery and after saving enough money, plan to start a convenience store. On her part, Ms. Le Nguyen Minh Thanh from Ho Chi Minh City, Vietnam reported her future plan that she would teach the Japanese language and environment conservation to students at a local university. On March 7, another action plan presentation meeting took place at the conference room of the Tokyo Metropolitan Assembly Building with the presence of members belonging to the Association of Assembly members supporting OISCA international activities and senior officials of the Tokyo Metropolitan Government as well as members of the diplomatic corps including H.E. Mr. Arifin Tasrif, Ambassador of Indonesia and H.E. Ambassador Dato’ Kennedy Jawan of Malaysia. 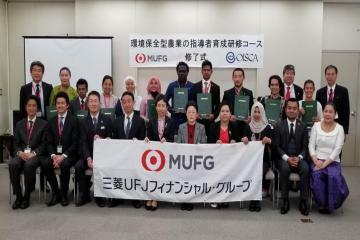 At the outset, Mr. Osamu Yoshihara, Chairman of the Association of Tokyo Metropolitan Assembly Members supporting OISCA, delivered opening remarks in which he welcomed the trainees and wholehearted congratulated them on their successful completion of the training course. 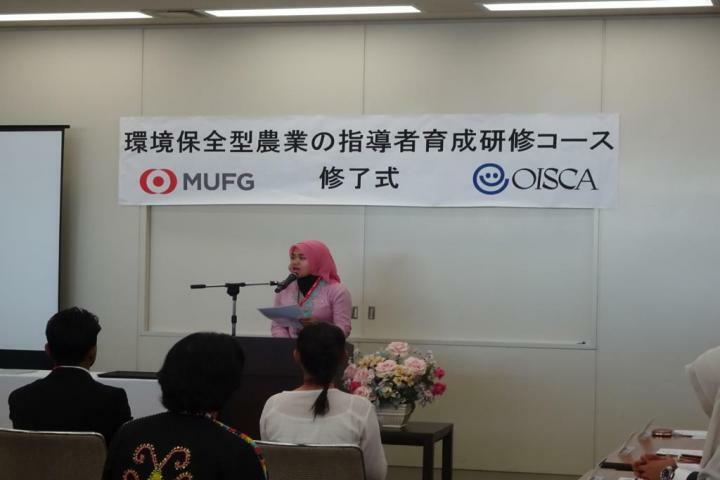 In her address, Ms. Etsuko Nakano, President of OISCA Japan, expressed deep appreciation to the Association of Tokyo Metropolitan Assembly Members for continuously supporting the OISCA activities including the training program and the representatives of the foreign Embassies for gracing the presentation meeting. She commended all the trainees for having overcame “a lot of hardships and difficulties in the Japanese language, weather, foods, and in your collective life” while undergoing training at the Nishi Nippon Center. She particularly praised their active participation in volunteer relief activities in the disaster-hit areas in Western Japan such as Kumamoto. Representing the foreign diplomats present, H.E. Mr. Arifin Tasrif, Ambassador of Indonesia, made short remarks. He congratulated all the trainees for successfully concluding their training and expressed sincere appreciation to OISCA and MUFG for the generous support and assistance in the implementation of this training program. He said: “OISCA training programs have significantly enhanced participants’ knowledge and technical capacity in agriculture” and all the trainees are “ready and eager to implement the knowledge and skills obtained through the training course back in your respective countries”. Subsequently, the 16 trainees briefly introduced their action plans with the aid of visual slides. On behalf of the trainees, Mr. Dawa Norbu from Tibet, made an appreciation speech. He admitted that during the first few months of the course, the trainees experienced considerable difficulties in communication, foods and adjusting themselves to the local weather. As time passed by, however, they started to overcome the difficulties thanks to the warm support and pertinent advice from the staff of the Training Center and many other people. All the participants cultivated close personal relations with one another just like brothers and sisters. Back to his homeland in the Northwestern part of India, he would try his best to implement his action plan: vegetable cultivation and livestock. OISCA training graduate from Indonesia representing her batch during the graduation ceremony.